Announcing a 3BP benevolence project. Please help. We argue a lot with our political opponents about policy and about how to fix our nation’s problems, but when you look at our problems compared to others in the world, we are very blessed. Even people in our country who are considered to be “in poverty” have easy access to life’s most basic needs, like fresh, clean water. However, for over a billion people around the world, that isn’t the case. They have to walk for miles just to get muddy, infected water from an open source. So we have decided to help do something about it. Please watch this short video. We are setting a goal of raising $5000 to help. If we can hit that goal, it will fund an entire well digging project for a community that desperately needs it. In fact, we will be able to watch our specific project’s progress and even view it on Google Maps. It would be complete in about 18 months. Yes, that is a high goal for a small blog like ours to hit, but it’s very doable. We have over 500 fans on Facebook. If only half of you contributed $20, we’d hit $5000 easily. We are partnering with some other Ohio blogs, as well. GOHP Blog and that hero will also be promoting the project. We thank them for their partnership. If we don’t hit the $5000 goal, all of the money donated will still go to charity:water projects, we just wouldn’t fund an entire project by ourselves. But think about how fulfilling it would be to be able to actually see a specific project in a specific village and know that you helped build it. Charity:water is a highly rated and reliable charity. They get 4 stars from Charity Navigator, their highest rating, for financial accountability and transparency. 100% of your donation will go to funding the water project. All of their administration and operating costs are covered by private donors. You can visit Charity:water’s web page to learn more about them, but please come back to our project page to make your donation. Charity:water will handle the entire donation process. No one at 3BP or the other blogs will be involved with handling donations or donor information. Your donation will also be 100% tax deductible. You will receive a tax receipt to print out via email. This is what millions of children are forced to drink. Let’s make a real difference for some of them. Can you please donate $20 to this campaign? 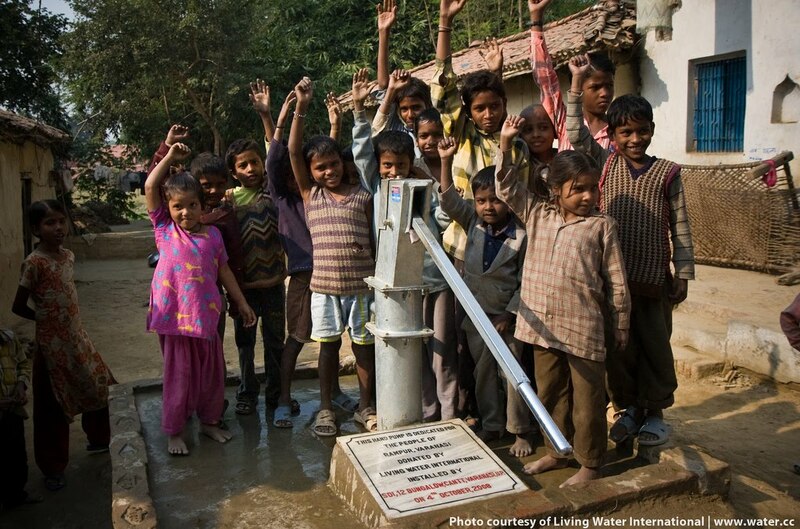 $20 provides clean water to one person on a permanent basis. Some can afford to give more, and if you can, that would be wonderful. If you can only give something like $5, that helps too. This campaign will run into early February. While our blog is certainly a partisan and political effort, we want this campaign to be a non-political cause that everyone can get on board with and support. If any other blogs out there would like to join the effort, please contact us. Also, in an effort to put my money where my mouth is, my wife and I have made the first donation, which is listed on the project page. All of the donations will be listed so we can track our progress in real time. You can choose to remain anonymous or have your name listed when you donate. We will keep a link to this page in the sidebar on our main page, so it is easy to come back and donate later, if that is more convenient for you. Please help us to fund this project and do some good. Bytor and the entire 3BP team. Lord, when did we see you thirsty and give you something to drink?